Well, that’s it—you were here for the exact moment when Warner Bros. decided to make Harley Quinn into Deadpool. 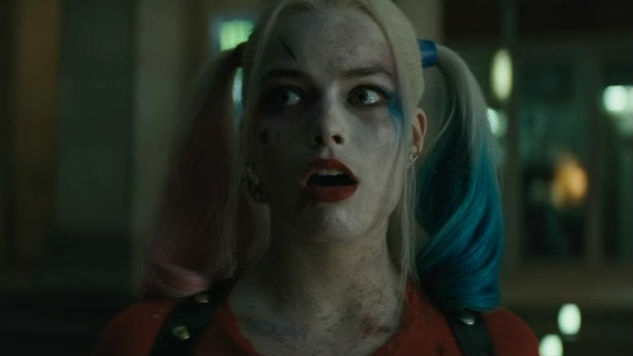 At least, that’s our assumption after seeing the full title of the upcoming Birds of Prey movie starring Margot Robbie as a returning Clown Princess of Crime. As tweeted out by no less than Warner Bros. themselves, the full title is Birds of Prey (And The Fantabulous Emancipation of One Harley Quinn). According to The Hollywood Reporter, the name is a riff of sorts on Michael Keaton’s 2014 indie hit Birdman (or The Unexpected Virtue of Ignorance), but why would you make an obscure reference in a blockbuster film title to another movie that few of your target audience would have seen? Regardless, the Birds of Prey movie will no doubt focus on the titular crimefighting group of the same name, a gang of female Gotham crimefighters whose roster has included quite a few characters over the years. Confirmed stars/characters include Robbie as Quinn, along with Mary Elizabeth Winstead as Huntress, Jurnee Smollett-Bell as Black Canary, Rosie Perez as Renee Montoya and Ella Jay Basco as Cassandra Cain. Ewan McGregor will be their foe, portraying comic book crime boss Black Mask, while Cathy Yan will direct. The presence of Cassandra Cain is an interesting one, as the Asian character is one of several to have worn the mantle of Batgirl, and definitely the youngest. In the comics, Cain is a fighting prodigy with a natural gift of being able to read the body language of others and predict their movements, allowing her to become a fighter on par with Batman himself. But her presence also makes us wonder if the screenplay will in any way work in the original Batgirl, Barbara Gordon, who ends up as the wheelchair-bound “Oracle” and de facto leader of the Birds of Prey in the comics. Has the character been excised entirely to make this the Harley Quinn show? Seems likely. The “emancipation of Harley Quinn,” reference, meanwhile, seems to refer to Quinn’s standalone series in 2016, wherein Quinn finally severs her romantic relationship with The Joker once and for all to stand on her own. Expect these themes to play into the sequel, as they were already involved in Quinn’s Suicide Squad storyline. The film, complete with its ridiculously long title, is currently scheduled to arrive in theaters on Feb. 7, 2020.